L.A.K. Creations and Consulting: What type of favor / novelty would be most suitable for my bar mitzvah, bat mitzvah, wedding, event or special occasion? 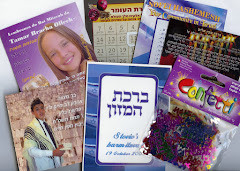 What type of favor / novelty would be most suitable for my bar mitzvah, bat mitzvah, wedding, event or special occasion? 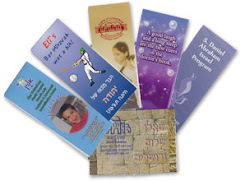 At most events today, be it a wedding, bar mitzvah, bat mitzvah or 60th birthday party, a favor / novelty / memento of some type is given to the guests. 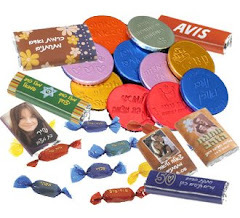 There are a wide range of simcha, business or party favors to consider, many being original & unique in nature. Below are some ideas or thoughts on how to decide what's suitable for your event, according to your taste & budget. Many novelties / favors can be given without customized text, but of course it makes the gift more personal (and easier to remember from whom it was received) with the addition of personalized printing, engraving or the attachment of a note. The Jewish calendar is filled with many holidays and reasons to celebrate. 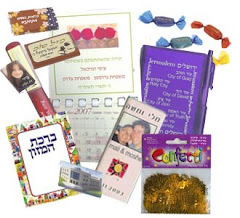 If your event is close to Purim or Pesach (Pessah), a personalized Megillat Esther or Hagaddah (Hagada) would be perfect for your guests. If you're less religious, there are many other types of favors which are related to the holidays. How about a personalized dreidel on Hanukkah, or a "blue & white" gift with flags for Israel's Independence Day (Yom Ha'atzmaut). 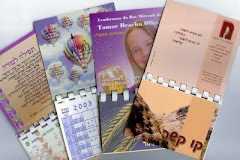 Between the Jewish New Year (Rosh Hashana) and Simchat Torah, personalized magnetic calendars or honey novelties are ideal. In the bencher range, there are many different types offered today, that it's not just a case of "everyone gives benchers". 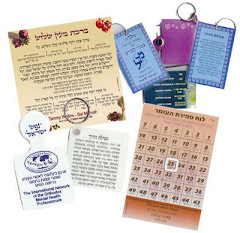 They come in a variety of sizes & versions, ranging from booklets and folded cards, to magnetic benchers (birchat hamazon) or placemat benchers. 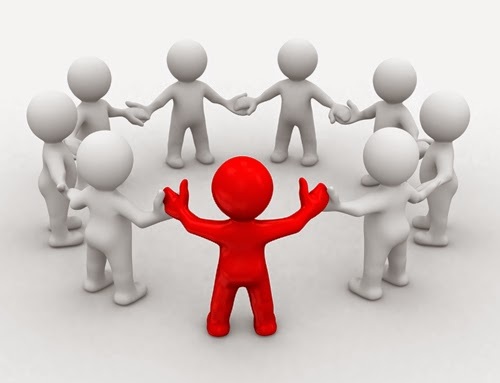 Are you taking your guests on an outing? How about giving them a personalized hat (cap), tote bag or water bottle holder. 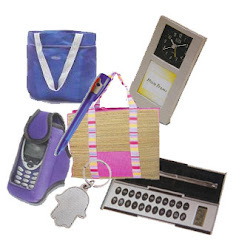 Other practical ideas include a personalized keychain (keyring) in different shapes or with an attached flashlight, pen with a gimmick, pen with pullout of tefillat haderech, disk on key, personalized calendar or many other original ideas. These favors / novelties include a photo of the person celebrating, or of a place with a memory, with the addition of personalized text to top it off. Magnetic products are the best bet for these. Personalized magnets, magnetic calendars, magnetic bookmarks, notepads or bulletin boards. Each can be produced in various sizes or shapes to suit your needs. If you have a certain "cause" or charity that's special to you, this is the ideal time to show & give your support. Instead of your guests giving you gifts for your big event, how about asking them to donate a modest contribution in your honor to a local charity or association. 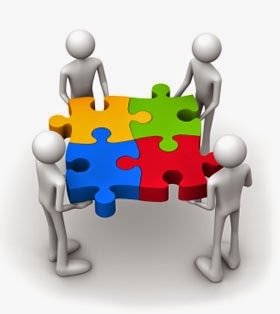 Alternatively, you can arrange a group of friends to volunteer at an organization needing assistance. If you're pro the environment, eco-friendly personalized tote bags make a popular & practical novelty choice. We'll advise you on a favor to fit your budget, so your guests don't need to leave your event empty-handed.